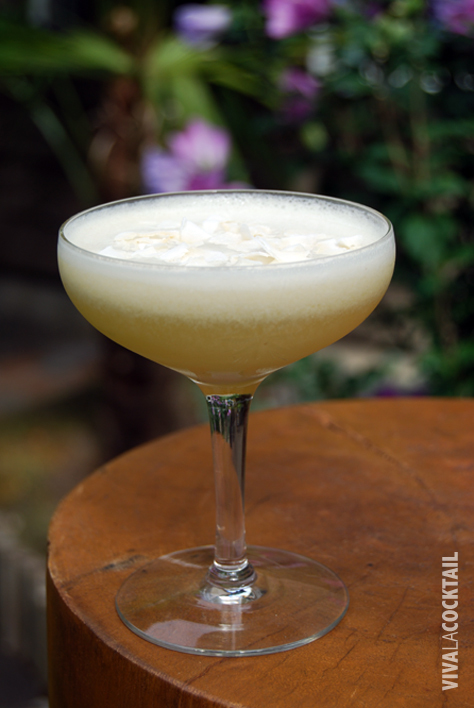 I came across this variation of a Piña Colada in the July/August issue of Imbibe magazine. 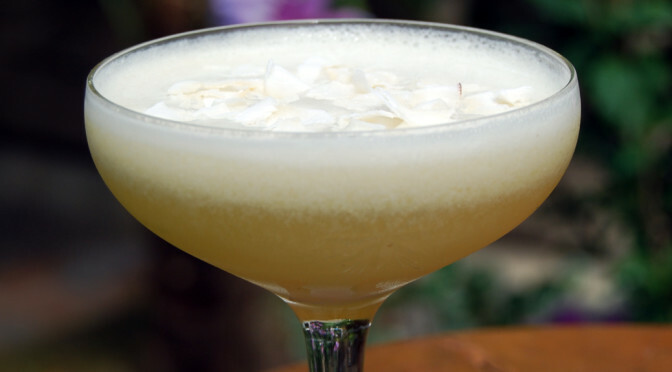 What I like about it is that the recipe uses coconut sorbet instead of the sticky-sweet cream of coconut, producing a drier and lighter cocktail. Just make sure you use a good quality white rum and fresh juice. Fill a shaker full of ice. Add the rum, pineapple juice, lime juice and coconut sorbet. Cap the shaker and shake vigorously for 15-20 seconds. Double strain into a chilled coupe glass. Garnish with dried coconut flakes. After trying a few different coconut sorbets, I recommend Double Rainbow—it’s the best! Excellent website! How big is a small scoop? For that matter how big is a big scoop? (I’ll assume a regular scoop is just the average). Thanks.